Residential and commercial landscapes in Parkland, WA, are known for their visual appeal that is enhanced by regular tree care. At Hunter's Tree Service, we strive to deliver outstanding tree care solutions to Parkland residents. We have been in the tree service industry since 1986 and understand everything that is involved with providing tree care. 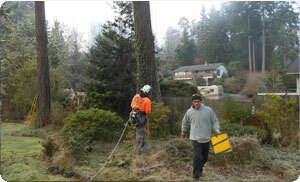 We are your one stop destination for professional tree service. Irrespective of the number, type, and size of trees, we ensure proper tree care due to our vast knowledge and experience. By hiring our Parkland tree service, you can be sure to receive expert solutions. Maintain your trees with regular tree service and enhance their visual appeal with specialized tree trimming solutions. We make sure to modify our tree service as needed to deliver outstanding, customized tree care solutions to our Parkland clients. 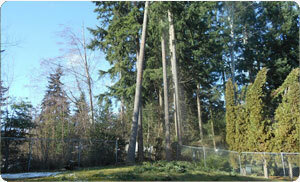 We are a local Parkland arborist and provide a variety of tree services. You can rely on our tree service experts to provide reliable and efficient tree trimming solutions that fit your particular needs. We employ a dedicated team of tree care professionals who are committed to provide satisfactory services of tree trimming and pruning in Parkland. Our tree care experts will keep your trees looking incredible, which will add to the visual appeal of your Parkland home. 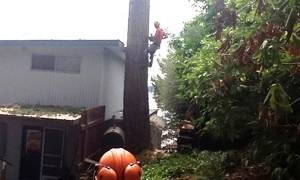 Call us at 253-245-3939 to talk with one of the tree care professionals at Hunter's Tree Service and receive incomparable tree trimming and pruning for your Parkland real estate.